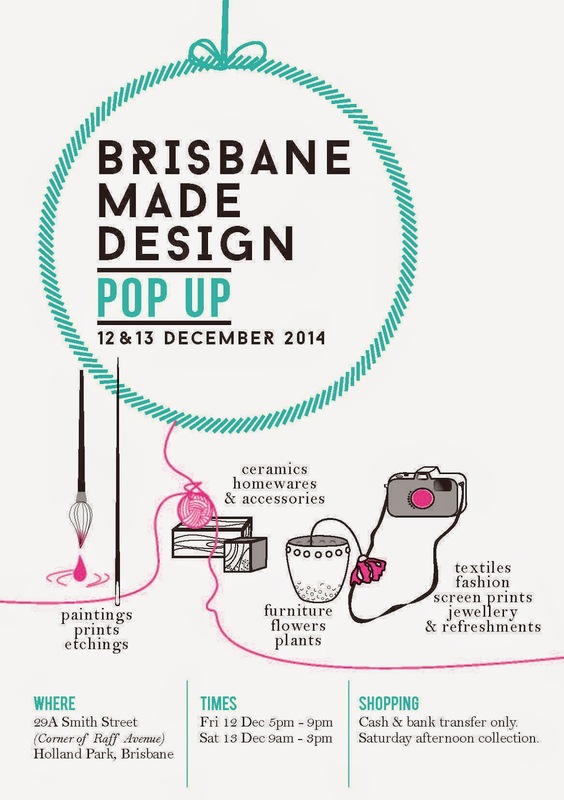 When the fabulous ladies behind the Brisbane Made Design Pop Up told me they were creating an event that would have a huge emphasis on locally made, original design, 100% hand-crafted wares I couldn't resist accepting their invite to be part of it. If you're looking for unique Christmas gifts (or treasures for yourself) and you love supporting original design come along and check out beautiful wares from Robyn Harding, Sharka Marvilla, Nancy Brown, Clare Poppi, Radmila Subotic, Paul Owen, Chantal Labbé and Corey Biever, Erin Hassall and more. My new brooches, crochet pebble necklaces and a selection of my little critter range will be available to purchase at the Pop Up. While I love handcrafted stuff, storage of thee material and the resulting thing is no joke! Better be prepared to have a whole room available for storage once you pick up arts and craft work! It's a pretty safe bet if you support a homegrown Brisbane artist and their wares that you're doing a good deed! It's time to celebrate craft in Brisbane!